Charter bus and minibus reservations in Fresno have never been easier. Shofur streamlines transportation for passengers by combining high-quality customer service with industry-leading transportation solutions and cutting-edge technology. We work non-stop to make sure you get the exact service you need, every time. Shofur handles the transportation needs of groups of every size in Fresno. We’ve connected with hundreds of drivers and have partnered with some of the leading bus companies in the region, giving us exclusive access to the best services in the city. Give Shofur a call at 1-800-436-8719 to get started on the booking process. Our team will quickly build an itinerary for you based on your group’s size and specific needs. Once we have the details of your trip documented, we’re able to quickly find the perfect charter bus or minibus for your group. If you have an important trip on the books that’s rapidly-approaching, reach out to one of our reservation specialists to see how we can assist you. In no time at all, you’ll see how Shofur makes bus reservations easy. As the economic center of the San Joaquin Valley, Fresno is home to a developing economy and a number of growing businesses. When businesses in Fresno need efficient group travel solutions for business trips, seminars, conferences, trade shows, and more, they call Shofur because we have the tools in place to handle their needs. Shofur handles corporate group transportation well because many of the buses we book are equipped with a number of exclusive services and features that increase passenger comfort. Employees traveling long distances love the airport shuttle services we provide to and from Fresno Yosemite International Airport. Shofur easily transports your staff to any restaurants, hotels, and convention centers listed on your itinerary. Shofur also offers high-level chauffeur services for any executives you may be hosting. We book luxury minibuses and sprinter vans for a more presidential look, and features such as WiFi, private restrooms, and power outlets allow passengers to get work done on the road. Shofur loves working with educational institutions for trips both long and short. We understand how important it is for parents and professors to know that their children and students are safe when partaking in off-campus school activities, and that’s why we tailor our transportation solutions around that very notion. Buses are fitted with steel-cage construction and pass several safety inspections before they hit the road, and drivers are vetted thoroughly before they’re placed behind the wheel. Shofur has worked with a number of institutions in Fresno, including Fresno State, Fresno City College, and Fresno Pacific University, so we know what students need when they’re seeking transportation for formals, field trips, and social events. 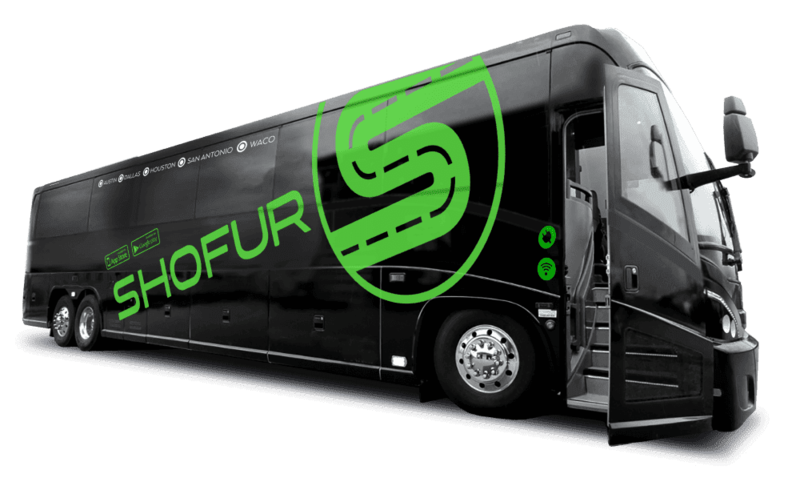 Students enjoy riding in style and comfort with Shofur, whether they’re showing up in a full-sized charter bus or in a minibus. Sports teams enjoy booking with Shofur because we work hard to deliver fast, efficient gameday transit solutions. Shofur works with ametuer and professional athletic teams, booking private coaches of various sizes for teams in every sport. Whether your team is headed to a home game down the street or an away game in another state, Shofur can accommodate you. Having worked with teams like the Fresno Grizzlies and the Fresno State Bulldogs football team, we are accustomed to booking both larger charter buses and smaller minibuses. Regardless of your team’s size, they’ll enjoy being able to rest and relax, while preparing for the big game. Enjoy a more professional, modern traveling experience when you book with Shofur. Regardless of your destination or purpose, we have the technology and staff in place to facilitate your next journey. For further information about our services, contact us today at 1-800-436-8719. Can Shofur get us a charter bus to rent from Fresno CA to Oregon? Of so, what would that cost? ? Shofur can get you a charter bus to go from Fresno,CA to Oregon. You are looking at around $7,374.40. Pricing is subject to change upon availability and time frame. For further assistance I suggest calling one of our representatives.